This additional demand, as well as advancements in technology and platforms enabling outsourcing and nearly eliminating the need to staff multiple environments, has led service providers to branch out and locate data centers where it makes the most economical sense. 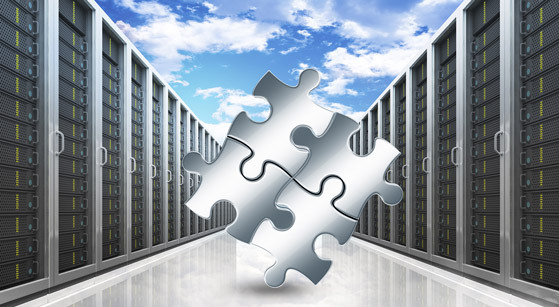 Hence a hybrid data center, distributed server architecture has emerged. This means some servers are really close to the edge, so latency is reduced while others are deployed throughout a given market to ensure redundancy in the network. However, this distributed architecture is not without data center management problems for a service provider. Because of this, colocation and other edge providers must rely on third parties to really understand all aspects of the environment, applications, performance requirements, and industry regulations. And how can service providers manage their infrastructure effectively and meet industry regulations without being physically present? The key is selecting a Data Center Infrastructure Management (DCIM) tool that offers you full visibility of your data center and the flexibility to continue to manage, monitor and control it remotely. First, a DCIM database stores detailed information about your infrastructure, replacing Excel and Visio files. It offers a visual mapping of your entire data center, helping you to quickly locate space and manage the placement of your IT equipment. Next, an Enterprise dashboard can provide an at a glance view of the health and capacity of your global footprint, including individual data center deployments, with the ability to click to drill down to obtain details at a floor, room, pod, row, cabinet and device level. At a more detailed level, customized dashboards and reports provide real-time resource utilization data for better electrical, cooling, floor, cabinet, cable and network capacity planning. This also allows you to quickly see how much capacity you’re using and where efficiency losses are occurring, as well as how much capacity is available to increase efficiency and improve utilization. Overall allowing you to provide better data center management. DCIM tools also allow for effective change management and improved workflows. For instance, you can verify and approve orders before sending someone on site to make any necessary physical changes within your colocation space. The solution’s visualization capabilities allow you to see the complete power chain and network connectivity chain without pulling cables or physically being on site. You can also quickly view power loads and environmental data to monitor trends, alerts and threshold violations, which allows you to understand future power needs. Another powerful feature is the ability to ensure industry regulations are met by monitoring your device energy and cooling usage from afar. This also allows you to improve your power usage effectiveness (PUE) by increasing temperature set points. In turn, this allows you to potentially meet internal mandates. Cost savings can also be achieved by instituting energy bill-back reports and using remote power cycling tools that allow you to gracefully shutdown systems that are connected to a specific outlet when not in use. Learn more about data center management, DCIM and how it can help you manage your distributed data center architecture, wherever your individual components are. * Judge, Peter. “The Truth Is: Data Center Power is Out of Control.” Data Center Dynamics. 12 January 2016. Web.